Our base recipies have been refined for almost 900 years by many generations of sisters of the cisterciens parish. Beer was the lifeblood for many Abbeys during the middle ages, the skills needed to brew a consistent great tasting product was proprietary to the sisters and monks living in the abbeys. 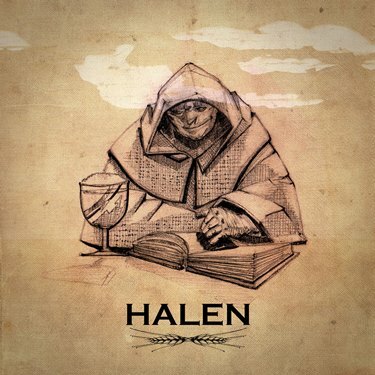 The basic products of Halen Breweries are the beers that were produced for hundreds of years by a small Cistercian sister Monastery in Rotem ( by halen). This sisters had a lot of contacts in the other city around Halen and there beers were popular over there. Some of their contacts were in Diest, were the sisters had a Refuse house (where they stayed in unsave time – 15th century until 19th century) .The Monestry of ‘ The Park’ in Leuven was one of the places where the sisters were on regular times. Diest and Leuven were small cities but the centrum of a the special beer culture. They had at least ten breweries each in the late 19th and begin of the beginning of the 20th century. Leuven is still the 1st beer city in the world. Also in Aarschot, a city between Diest en Leuven, you can find a lot of special beer that are sure worth to taste.